Although importation and exportation of products at temperature poses significant challenges, Sentry’s qualified channel program can help you transport worldwide your high-value drug product, securely, expeditiously and without negative impacts on drug safety, identity, strength, purity and quality (SISPQ). Further, Sentry’s facility is a part of subzone 72 U.S. Foreign Trade Zone (FTZ) located at the Indianapolis International Airport (IND). Please visit Sentry’s FTZ page to learn more about the benefits of sending your products to Sentry’s FTZ zone. The U.S. Food and Drug Administration (FDA) provides in depth information concerning the importation and exportation of human drugs and biologics. To ensure that FDA is notified of all regulated products imported into the United States, the importer, or his/her representative, must file an entry notice and an entry bond with Customs pending a decision regarding the admissibility of the product. FDA inspection and enforcement procedures for imports rely on coordination with Customs. FDA is notified by Customs of the product’s entry and makes a decision as to its admissibility. If FDA does not wish to examine the entry, the product is allowed to proceed into United States commerce. Generally, if FDA decides to examine an entry, an agency representative will collect a sample from the shipment for laboratory evaluation. If the analysis indicates that the product complies with the Act and related regulations, the shipment may be released into United States commerce. If there is a violation, the product will be detained. If not brought into compliance, the product will be refused admission. When a sample of an article offered for import has been requested by FDA, the owner or consignee must hold the shipment and not distribute it until further notice is received regarding the results of the examination of the sample. If it appears that the article is violative, FDA issues a Notice of Detention and Hearing to the owner or consignee of the article, specifying a place and a time period whereby the individual may introduce testimony concerning the acceptability of the product. For specific information on Customs procedures, requirements, forms, and other matters, contact your local Customs office. Information is also available at the U.S. Customs website. To assure the expeditious handling of imported products, FDA has automated its import operations. By combining FDA's Operational and Administrative System for Import Support (OASIS) and Customs' Automated Commercial System (ACS), an FDA reviewer can more efficiently evaluate and process each import entry. The import filer transmits the required shipment-specific FDA data into the ACS. Within several minutes, the filer receives notification that either their shipment has been released or FDA wishes to further review the entry. This system provides FDA with immediate data on imported products, provides information on potential problems, and maintains national historical data files to develop profiles on specific products, shippers, and manufacturers. Eventually all filers processing entries through Customs' ACS will provide FDA information electronically. 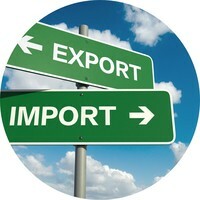 Import Alert 66-66 provides useful guidance on the import of APIs. This guidance includes information on the detention of APIs, when they can be detained without physical examination and the type of evidence needed to obtain their release. For additional information, see the Federal Register Notice (PDF). A draft guidance document is available that summarizes and explains the basic requirements and procedures for exporting human drugs (also drug components) and biologics that may not be sold or distributed in the United States. This guidance document also summarizes and explains the requirements for exporting drugs that are approved for marketing in the United States, but which are being exported for an unapproved use. The draft guidance document is available online: Guidance for Industry: Exports Under the FDA Export Reform and Enhancement Act of 1996. It also provides contacts for additional information. DISCLAIMER AND NOTICE: Sentry BioPharma Services provides to the life science community this FDA summary for educational purposes only and claims no authorship of this content. For guidance and updates directly from the FDA please refer to the FDA website (www.fda.gov) and the import program managers in FDA's District Offices which are additional points of contact. See ORA Field Program Monitors (Import Program Managers section) for contact information. For more information about how Sentry's import/export team can add value to your international supply chain, contact Sentry via email or by phone at 1-866-757-7400.